Cibo (chee-bo) is the Italian word for food. We are a fun and convenient way to spice up your dinners and lunches with fresh, creative, and internationally-inspired meals delivered right to your home or office in reusable, environmentally friendly Mason jars. There are many options out there for meal delivery services that deliver ingredients and recipes to cook yourself, but what about when you want a meal that is nutritious and ready-to-eat within five minutes? That is where Cibo Meals comes in, saving you from dining out or ordering take-out food that can be both unhealthy and costly. Based on a simple vegetarian diet, using a wide variety of produce, ancient grains, pasta, herbs, and most importantly, creativity, Cibo Meals is a new alternative to other meal delivery services, restaurants, and fast-food options. We are here to offer you la bella vita (the good life) in your meal choices! Ciao! 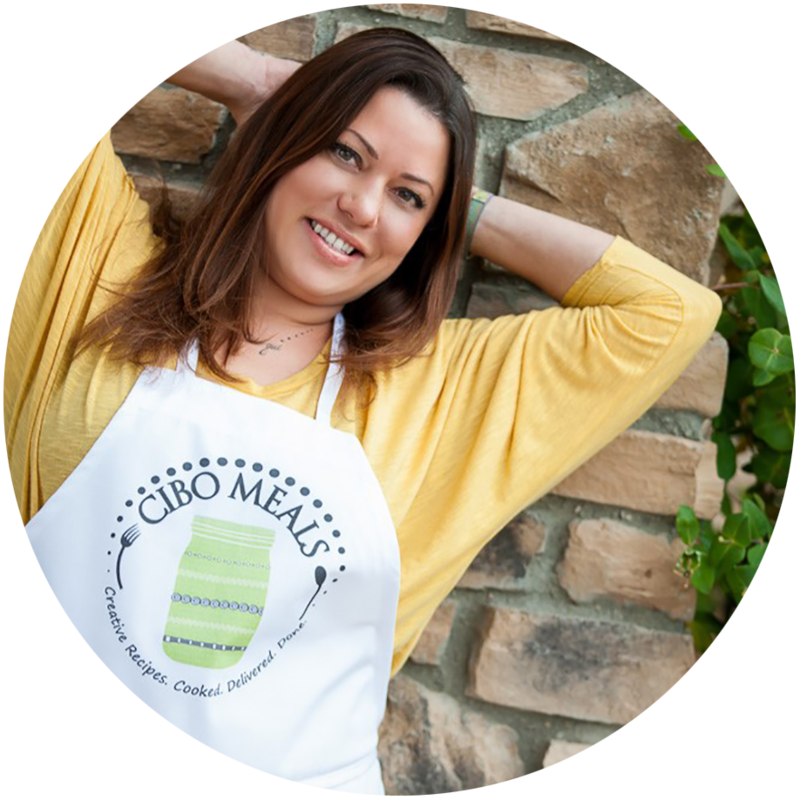 I am the owner and creator of Cibo Meals, and I love what my small, local business has grown into since I started it in 2016. I’ve always loved to cook and to travel, and I wanted a way to bring these two passions together. I also wanted a way to be more involved in the amazing communities in the Metro-Denver area. As a longtime vegetarian, I felt there was a need for more internationally-inspired, wholesome vegetarian meals that are freshly cooked and ready to eat without a lot of preparation. Hence, the start of Cibo Meals. Before starting Cibo Meals, I was an Interior Designer in New York and in Denver, which was a career that lent itself perfectly to the creative and detail-oriented nature of cooking. In early 2016 I left that career behind to pursue a life-long dream of living in Italy and learning the Italian language, and after three months in Lucca, Tuscany, I returned to Denver with a renewed dream to start a business that brought together my two loves, cooking good, clean food and traveling the world. ~Buon Cibo! I’m always so excited to come home from work on Wednesdays to a mid-week pleasure of a delicious, healthy homemade meal waiting for me on my front porch. Cibo Meals are different every single week giving me new ideas for my own cooking. I’ve tried some of the other meal delivery services and Cibo is by far the freshest, most creative and most delicious of them all. I am delighted to have discovered Cibo Meals. I appreciate the variety of weekly menu options, the ease of ordering online, and the personal delivery of a constantly fresh, and flavorful meal. Loaded with unique blends of grains, veggies, and fruit, each jar option has been delicious, satisfying, and healthy. It is the ideal meal after a midweek yoga class. Emily and Cibo Meals are a great addition to the northwest Denver area! Creative meals, prepared, cooked and delivered in glass jars! Such a great thing to help you with busy days and a great way to help the environment! Give her a try! She will take great care of you, your family, neighbors, and co-workers!